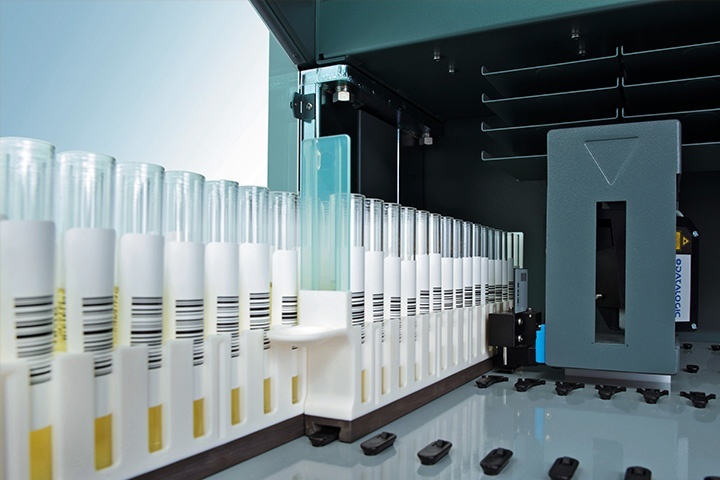 The unique pull-back mechanism then automatically moves the carrier across the path of the barcode scanner which orientates itself automatically to decode barcodes mounted vertically or horizontally on standard labware, such as tubes, microplates, deep-well plates, and gel cards. The PosID can indicate if a position is empty, for example, a sample tube position that has not been loaded will receive the status “no tube”, and will not be processed. A barcode that is obscured or missing will be logged as unidentifiable and and will not be processed. Alternatively, a standalone barcode reader, used instead of the PosID module, can scan codes on labware during transfer by a RoMa Arm. The Pos ID option is able to read barcodes on tubes, carriers, micro plates and troughs.